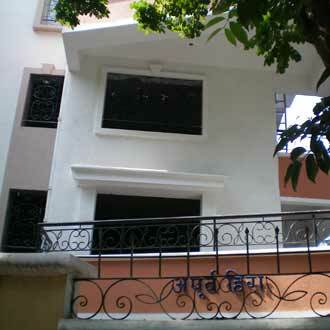 This budget service apartment is conveniently located at Shivaji Nagar. One can check-in to this three BHK accommodation at 10 a.m., which is maintained with 24 hours care taker service. In-house guests can enjoy their morning swim in its open-air swimming pool, which is maintained with a Gazebo and sun loungers. There is also a gym for the recreation of the guests. A conference venue for official meetings can be arranged on request.